One of my favourite blogs is The Royal Sisters and I have completely fallen inlove with this simple Granny Square bag idea. For latest ideas from Michelle at The Royal Sisters you can find her link on my side bar. 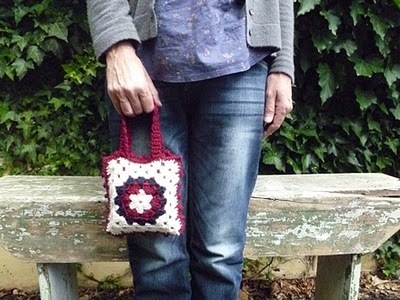 If you want to make a granny square bag with me then check out the tutorial and add a picture of your granny greatness to the flickr group. Yep I have found a way to keep myself entertained over the xmas holdiays, which will be making one each for my daughter and nieces. Oh how I love having so many little girls in my family!